First Deputy Chairman of the State Duma of the Federal Assembly of the Russian Federation. Born August 8, 1950 in Bogoroditsk, Tula Region. Candidate (PhD) of Physical and Mathematical Sciences, Doctor of Educational Sciences, professor. 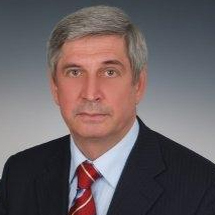 Elected the First Deputy Chairman of the State Duma of the Federal Assembly of the Russian Federation in January, 2012.